Swanland Playing Field is located at West Wold, off West Leys road and is open each day until dusk. Please note for health reasons NO DOGS are allowed on the playing field (except service dogs). Facilities include: Young children’s play area, ramps and mounds, Sports field with football pitches, cricket pitch, & 2 cricket nets, rugby posts, BMX track, Fenced Multi-Use Games area which can be hired for netball etc. Please observe notices in relation to safe use of equipment and facilities. The pavilion has four changing rooms, toilet facilities (one for the disabled), showers, a kitchen and social area that opens onto a west-facing patio. It is often open at weekends and holidays selling sweets, drinks, ice creams, hot and cold drinks. It also has a licensed bar area for members or guests. Please support your local playing field. Discos, race nights, quiz and supper evenings can be arranged to raise funds as well as the annual Gala. The Playing Field is NOT run by the Parish council (which funds the lease and maintenance of the site) but development costs are covered by the fund-raising activities of the Playing Field Association committee. 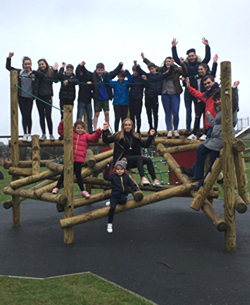 All the play equipment in the playground area has been provided through fundraising and has cost tens of thousands of pounds. 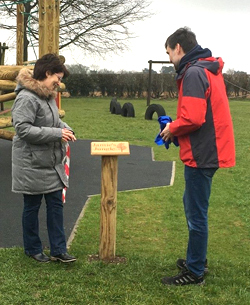 In 2017 we installed some new equipment in the park. We replaced the central climbing frame, added a Basket Swing, and replaced one of the original Springers with a new 4 seater one. 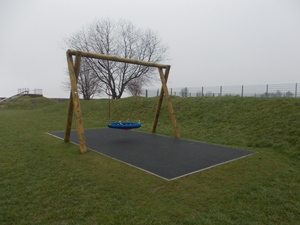 These additions have added a new dimension to the play park area and have been received with great enthusiasm by all. A lot of ongoing maintenance work is also taking place in the play area, the tidying up of the seats and benches is well under way and should be ready for the spring. There is more work still to be done over the next year or so, some of the equipment we have is over 20 years old and needs constant maintenance, we hope to be in a position to refurbish or replace some of the equipment depending on the availability of future funding. The plan is to make the Swanland Playing Fields park one of the best in the East Riding, suitable for all children of all abilities. 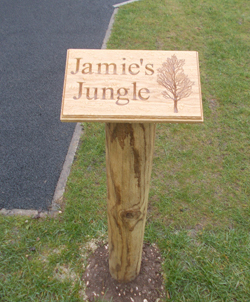 The central climbing was dedicated to Jamie Loncaster (see below) and is named Jamie's Jungle. SPFA would like to thank the Swanland Parish Council for their assistance in the grant application process, also ERYC for giving us the opportunity to apply for the commuted sum grant. Jamie Loncaster passed away in 2015 from Myocarditis (inflammation of the heart), aged 13. His family have established a Memorial Fund with Cardiac Risk in the Young. www.c-r-y.org.uk. The aim of the fund is to raise awareness of statistics and to pay for local heart screening sessions. For more information, please visit www.jamieloncaster.co.uk or follow the family on social media.